I don't WANT to die, but I do look forward to the afterlife. I can't even begin to imagine no pain, no worries. Being whole again! Wow! Seeing Jesus face to face. That is what I am living for. But, there are things that I am not done with here on this great earth. I want to see my oldest be baptized! 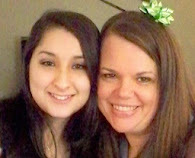 My youngest has been and she is such a Godly little young lady.